It’s almost spring! Celebrate by pursuing one of these potential jobs! The Superior Court of California, County of Los Angeles is currently accepting applications for summer 2015. Externs for the Superior Court generally work directly with the Superior Court’s judicial officers. Externs are often given the opportunity to research and write legal memoranda on pending law and motion matters, to observe trials and daily law and motion calendars, and to complete special projects.Externships are available in civil, criminal, family, and juvenile courtrooms. Part­time and full­time positions are available. Interested students should submit a resume, transcript (if available) and writing sample via email. In the text of the email, please indicate your preferred area of law. All materials should be submitted as soon as possible. Positions will be filled on an on­going basis. Materials are accepted via email only and can be sent to: extern@lacourt.org. Please email any questions to extern@lacourt.org. This position is located in the Department of Health and Human Services (HHS), Administration for Children and Families (ACF), Office of Family Assistance (OFA), Temporary Assistance for Needy Families (TANF) unit, Region III, Philadelphia, PA/Region IX, San Francisco, CA./Region X, Seattle, WA/ Region V Chicago, IL, Region I, Boston, MA. For more information about the position and the application process, please click here. The Skokomish Indian Tribe is soliciting applications for a Tribal Prosecutor. This is a two year contract position, subject to renewal, with a contract rate of four thousand dollars ($4,000) per month. The contract requires the Tribal Prosecutor to be on site two days per week. The applicant also must be a member in good standing of a state or territorial bar association. Please send applications in Microsoft Word and/or Adobe Pdf format to: yoberly@skokomish.org. We are currently seeking unpaid legal interns for Spring (immediately), Summer, and Fall 2015. Commissioner Burrows was confirmed on December 2, 2014 and began her tenure in January. Thus, we are just getting settled. With a full Commission, it should be an exiting time and educational experience for law students interested in equal employment opportunity, employment, or civil rights law broadly. If you have any questions, please email us at officeofcommissionerburrows@eeoc.gov. Applications, including a cover letter and resume, should be emailed to the hiring committee at cfsmolcjobs@gmail.com. Shortlisted candidates will be contacted. The Equal Justice Works/justice AmeriCorps Legal Fellow will work full-time at the Lawyers’ Committee for Civil Rights of the San Francisco Bay Area and will be responsible for providing full-scope direct representation to unaccompanied immigrant children in Immigration Court proceedings and related proceedings before U.S. Citizenship & Immigration Services and in State Court. The term of the fellowship is one year, with the possibility of renewal. Please submit a cover letter, résumé, brief writing sample, and list of three references; if a recent law school graduate, please include a law school transcript (an unofficial copy is fine). Send complete application to the attention of: Silvia Contreras, Immigrant Justice Program, Lawyers’ Committee for Civil Rights of the San Francisco Bay Area. Submission via email to scontreras@lccr.com, with the subject line of “EJW/jAC Fellowship,” is preferred, but applications may alternatively be mailed to 131 Steuart Street, Suite 400, San Francisco, CA 94105. Applications will be reviewed on a rolling basis; position to start as soon as possible. The U.S. District Court for the Southern District of New York is hiring one pro se law clerk to serve a two-year term (subject to available funding) for the Office of Pro Se Litigation. The Office of Pro Se Litigation serves the District and Magistrate Judges of the Court in the handling of all cases filed by individuals who are representing themselves in court. It provides legal support to the Court’s judges to assist them in managing their pro se docket (which accounts for approximately 25% of the Court’s civil filings). Pro se law clerks review initial pro se filings and draft legal memoranda and proposed orders and decisions for judicial officers. Pro se law clerks report directly to the Chief Counsel of the Office of Pro Se Litigation. In addition to providing substantive support to judicial officers, pro se law clerks work on other matters handled by the Office of Pro Se Litigation, including preparing forms, manuals, and other materials to provide assistance to pro se litigants. Applications must include a cover letter, resume, law-school transcript, list of at least three references, and a recent, self-edited writing sample and be sent by email to PSLC@nysd.uscourts.gov using “Pro Se Law Clerk” as the subject line (all documents should be combined into a single PDF file). Due to the volume of applications, the Court will communicate only with those individuals who will be interviewed for open positions. For more information, click here. The John Payton Appellate and Supreme Court Advocacy Fellowship provides a mid-level lawyer with the opportunity to spend a year as a staff attorney at LDF litigating cutting-edge civil rights cases. We’ll be accepting applications until March 16, 2015 and would welcome any help you might be able to offer in spreading the word or recommending good candidates. Please find more information here. The Opportunity Agenda seeks candidates for the Robert L. Carter fellowship, for a two-year term beginning no later than September of 2015 for its New York office. The Opportunity Agenda is a social justice communication lab that collaborates with social justice leaders to move hearts and minds, driving lasting policy and culture change. We amplify the inspirational voice of opportunity through a combination of communication expertise, creative engagement and research. The Fellow will participate in legal research and legal advocacy; work with coalitions on framing and messaging concerns; and collaborate with local and national public interest organizations and policymakers on policy and communications efforts. The Fellow will focus on promoting equal opportunity and protecting human rights in such sectors as economic opportunity and immigration and criminal justice policy. Activities are likely to include conducting research and writing legal and policy briefs; helping to create communications strategies and tools; and engaging in policy advocacy, often in partnership with coalition allies. This work will be done in close collaboration with The Opportunity Agenda’s legal, research, and communications staff, providing opportunities for social science research and media experience, as well as legal work. Applicants should send a letter of interest, resume, and writing sample to jobs@opportunityagenda.org. Include the job title “Robert L. Carter fellowship” in the subject line. No phone calls please. Monday, January 13: Application Deadline to Interview at the NW Public Service Career Fair! For over two decades, the NW Public Service Career Fair has linked law students and alumni with opportunities to make a difference. More than 75 non-profits and government offices and more than 600 students and alumni from our 11 schools participated in 2013. Check out the list of employers participating at the Seattle fair on Friday, January 31. Check out the list of employers participating at the Portland fair on Saturday, February 1. Learn more about the application and interview process here. About the CPSL: The Center for Public Service Law at UW Law aims to educate, empower and inspire all of our students, graduates and broader law school community to incorporate public service into their lives, regardless of where they work or what kind of position they hold. Position Overview: The Center for Public Service Law at the UW School of Law is the hub of public interest and social justice activities and career support at the law school. The communications assistant will provide support to the CPSL with its online outreach and marketing primarily through its blog (commongooduw.org) and weekly online newsletter. The blog provides the latest local, national and international news, announcements, events, job and internships postings related to public service law. It is updated three times per week. The weekly newsletter recaps the last week’s blog postings and directs its over 350 recipients to the blog. For complete job description and application instructions please click here. For more information about federal work study at UW please click here. Act fast! Applications reviewed on a rolling basis. Position open until filled. Human Rights Institute at the Urban Justice Center will be held from April 2- 4, 2014 in New York City. The Institute is a three-day professional development conference that brings select human rights advocates and policymakers from across the country to network, share ideas, and collaborate with others who are working to advance domestic human rights. Participants will be able to learn about the international human rights framework, apply it to their local organizing efforts and become contributors to the growing domestic human rights movement. Miriam Yeung, Executive Director of the National Asian Pacific American Women’s Forum. The Arts and Community Organizing. 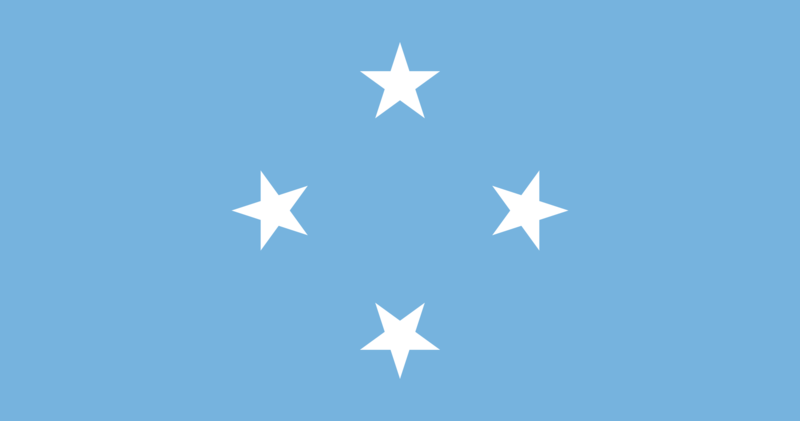 The Institute application is available on the Human Rights Project website. The application process is open until February 7, 2014. A limited number of scholarships are available for those eligible for financial assistance; those applications are due February 1, 2014. This course offers a unique, multidisciplinary graduate-level study opportunity in Cambodia. 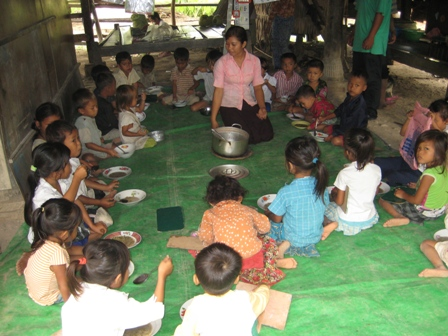 Focusing on health and human rights of children, particularly those who have a disability, the course provides a classroom experience and an applied, skills-building practicum that explores the theoretical underpinnings and the practical applications of the rights of the child in the context of Cambodia’s health system. Child rights are studied from legal and health services perspectives, combining methodologies of research and analysis required for quality field work. The six-week course is approved for a total of 10 credits. Five of the credits are received through the practicum experience. The practicum experience will enable the student to work with NGOs and other health and legal professionals in the investigation and analysis of a faculty-guided and approved practicum project. The course is open to graduate and professional students from other universities. Check out the UW Study Abroad website and the program brochure. For questions, contact Beth Rivin (brivin@uw.edu) or course TA, Ashley Paintner (ashley.paintner@uw.edu). Happy New Year Jobs Edition for 3Ls & Recent Grads! Founded in 1964, the White House Fellows program is one of America’s most prestigious programs for leadership and public service. White House Fellowships offer exceptional young men and women first-hand experience working at the highest levels of the federal government. Selected individuals typically spend a year working as a full-time, paid Fellow to senior White House Staff, Cabinet Secretaries and other top-ranking government officials. Fellows also participate in an education program consisting of roundtable discussions with renowned leaders from the private and public sectors, and trips to study U.S. policy in action both domestically and internationally. Fellowships are awarded on a strictly non-partisan basis. Act fast! Applications due no later than January 15. For more info click here. To access the application click here. The Alaska office of Earthjustice is seeking applications for an associate attorney position. The core issues of the Alaska office docket are protection of the Alaska coastal rain forest, safeguarding of America’s Arctic, conservation of the Bering Sea and Gulf of Alaska marine ecosystem, wildlife conservation, protection of lands and waters from mining activities, air and water quality enforcement, and national park and other public lands management. Our clients include national, regional and local conservation organizations, Alaska Native tribal organizations, ecotourism businesses, and communities, as well as other organizations concerned about enforcing the laws to protect the environment. Interact with clients and work with experts. The associate attorney may have primary responsibility for some matters but will generally work collaboratively with other lawyers in the office. For complete description and application instructions please click here. Act fast! Applications reviewed on a rolling basis. Disability Rights Washington (DRW), a private non-profit organization advocating for the rights of people with disabilities seeks an attorney to advocate on behalf of people with disabilities across Washington. The attorney will spend a significant portion of his or her time assisting people with disabilities who call and write about legal issues to gain information about their rights and strategies to improve their self advocacy efforts. Responsibilities also include responding to allegations of abuse and neglect, developing and disseminating information and referral resources, and investigation into systemic legal violations regarding individuals with disabilities. The attorney must have very strong oral and written communication skills. Additionally, the attorney must be an organized, self-motivated professional who is able to work collaboratively with other DRW staff to engage in creative, multimodal advocacy strategies to achieve social justice for Washingtonians with psychiatric, developmental, sensory, and physical disabilities. DRW is designated by the governor as the independent federally-mandated protection and advocacy system for Washington State. As such, DRW promotes, expands, and protects the human and civil rights of people with disabilities. Excellent research and writing skills, academic performance, and references are required. Attorneys with disabilities and attorneys with bilingual fluency are strongly encouraged to apply. For complete information and application instructions please click here. Applications reviewed on a rolling basis through January 13. The Northwest Immigrant Rights Project (NWIRP) seeks a bilingual attorney (with strong preference for a Spanish-speaking attorney) to work with individuals detained at the Northwest Detention Center, a regional immigration detention facility that houses up to 1575 detainees. The attorney will be providing legal representation and assistance to individuals in removal proceedings. The attorney will provide legal services under the Legal Orientation Program (“LOP”), which is funded by the Executive Office for Immigration Review and managed by the Vera Institute. Through the LOP, NWIRP staff give detained individuals essential information about court procedures and available options for legal relief prior to their immigration hearing. The LOP consists of four primary components: (1) group orientations; (2) individual sessions; (3) self-help training in the form of pro se workshops; and (4) referral of cases to pro bono attorneys. Information about the LOP can be found at the Department of Justice website (http://www.justice.gov/eoir/probono/probono.htm) and the Vera Institute website (http://www.vera.org/project/legal-orientation-program). The attorney will also provide direct representation to detained persons in removal proceedings, including representation at the Tacoma or Seattle Immigration Courts, the Board of Immigration Appeals and the Ninth Circuit court of appeals. Between the LOP and direct representation work, attorneys will be managing a high-volume workload with complex legal issues in immigration and criminal law. Special consideration will be given to attorneys with at least two years of prior relevant legal experience, but all applicants with the qualifications listed below are welcome to apply. Applications due by January 6! For complete description and application instructions please click here. Paid LGBT Rights Internship, Staff Attorney Position at NJP in Seattle & New Gov’t Opportunities Not to Miss! The Bay Area Chapter of the National Lawyers Guild (NLGSF) is now accepting applications for the Summer 2014 Thomas Steel Internship. The Thomas Steel intern will work closely with the NLGSF and will have the unique opportunity to conduct legal research, to outreach to the LGBT community, and to connect with partner organizations. Project focus is flexible, but an emphasis on an area of law relevant to the Bay Area LGBT community should be determined before the internship begins. Projects with a focus on transgender communities and/or queer people of color and immigrants are especially salient to the mission and direction of NLGSF. In recent years the Thomas Steel intern has created scholarly articles for publication, organized a unique set of Know Your Rights materials for the transgender community, created a toolkit for Know Your Rights projects in other cities, supported housing rights activists in San Francisco, advocated for LGBT inmates in California prisons and organized Continuing Legal Education seminars for legal professionals. The internship is based out of San Francisco, will last from roughly June through August, and has a stipend of $5,000. Interns are expected to commit to 35 hours per week for a 10 week period. Applicants should be law students who demonstrate a passion for social justice and commitment to public interest work. Past activist/organizing experience and involvement with the National Lawyers Guild a plus. People of color and members of the LGBTQ community strongly encouraged to apply. The deadline to apply is February 10, 2014. Please submit a cover letter and resume via email to carlos@nlgsf.org or fax 415.285.5066. The Northwest Justice Project seeks applications from qualified attorneys to work within our King County office on Abriendo Puertas/Opening Doors project, a partnership with the King County Sexual Assault Resource Center (KCSARC), to address the legal needs of low-income monolingual Spanish speaking and Limited English Proficient sexual assault victims. This is a three-year grant based position. The successful applicant will work together with our family law team on a range of legal needs experienced by immigrant sexual assault victims. Clients will be referred by KCSARC Dando Voz advocates who focus on the legal needs of monolingual and LEP sexual assault victims in King County. While the attorney will work across practice areas, priority areas of legal practice will be family law and immigration. Applicants must be fully bilingual Spanish speakers, culturally competent and have demonstrated experience working with sexual assault, immigrant and/or low-income communities. Washington State Bar membership in good standing or ability to become a member through reciprocity is required. Application reviewed on a rolling basis through December 20. For complete description and application instructions please click here. The Washington State Attorney General’s Office (AGO) is currently seeking law students who are also veterans as defined by RCW 41.04.007 to apply to serve as a volunteer law clerk or legal extern for academic credit. Team; participate in the AG’s outreach efforts to the veteran and military communities and meet with stakeholders; understand the consumer complaint process and assist in analyzing complaints for trends and possible enforcement actions; and work with the Military & Veterans Assistance Team on possible subjects for veteran or military-related CLE subjects. Applications due no later than January 15, 2014. For complete description and application instructions please click here. The Office of General Counsel (OGC) is the chief legal advisor to the U.S. Environmental Protection Agency (EPA), the federal agency with primary responsibility for implementing the nation’s environmental laws. OGC attorneys provide counsel to ELP policy makers on legal issues associated with implementing these environmental law, as well as the law governing the day-to-day operations of a federal agency. The key objections of the program are to provide recent law graduates with the opportunity to practice public sector or general environmental law and to provide the Office of General Counsel with highly motivated, talented and diverse entry-level lawyers who are interested in a variety of legal work on cutting-edge administrative and environmental law issues. This fellowship is open to highly qualified applicants with outstanding academic records who are graduating law school in May/June 2014, students who have completed a judicial clerkship, or who have prior law experience within 2 to 3 years of graduation from an ABA accredited law school. OCS is seeking applicants with excellent analytical and writing abilities, a strong commitment to public service, effective “people” skills, and the ability to take on significant responsibility. Application deadline is Monday, February 3, 2014. For more information about OGC, please visit our website: www.epa.gov/goc. For complete description and application instructions please click here. To access the voluntary demographic information form to include with your application materials please click here. The SEC boasts robust programs in which students experience real world and real time assignments that are directly related or are in support of our mission is to protect investors, maintain fair, orderly, and efficient markets, and facilitate capital formation through securities and financial market regulation. The SEC’s Summer Student Honors Program is a ten-week opportunity for first year law students to become acquainted with the regulation of the securities market. Participants work with SEC Staff members on projects covering a broad range of the Commission’s mission, such as conducting investigations of industry and issuer practices, assisting in the litigation of enforcement actions, and drafting proposed statutes and rules, to name a few responsibilities. For more information on our program, please visit our Student Honors Program Homepage. The application period is from Monday, December 2, 2013 through Monday, February 3, 2014 (midnight Eastern Standard Time). Applications are reviewed on a rolling basis so act fast! The Legal Team of the Bill & Melinda Gates Foundation seeks a highly motivated 2L student to join our 2014 Summer Internship Program. “Guidance, Solutions, Integrity” describes the Legal Team’s approach to providing comprehensive legal guidance supporting the implementation of the foundation’s strategies. The Legal Team offers creative solutions that accomplish programmatic objectives, develops and implements efficient legal processes to streamline the foundation’s investment making practices, and applies preventive legal strategies and compliance policies to minimize risks and safeguard the foundation’s reputation. Work as part of the Legal Team to provide advice and counsel on a broad range of legal issues critical to the foundation’s mission, which may include exposure to the foundation’s various program teams and strategies. Work on matters across the various practice groups of the legal team, including tax, intellectual property and complex transactions. Although work assignments vary depending on client needs, we expect to rely on our summer associate to help complete actual client work. Review and participate in preparing grant agreements, review proposals, concept notes and contracts, and identify issues related to proposed projects. Provide guidance in the due diligence process to assess business structures and intellectual property rights of potential grantees. Become familiar with laws and best practices applicable to private foundations generally as well as other issues that are applicable to the foundation. Provide support in other investment matters or foundation policies and issues as needed, providing counsel and creative problem solving on a broad range of issues. Don’t delay! The Gates Foundation is accepting applications from law students from any law school this year. Applications accepted and reviewed on a rolling basis through November 3. For complete description and application instructions check the Symplicity posting here. The Legal Aid Society–Employment Law Center promotes the stability of low-income and disadvantaged workers and their families by addressing issues that affect their ability to achieve self-sufficiency. Using the law as a tool, the LAS–ELC helps workers attain financial security by preserving their employment opportunities. We believe that stable working conditions and adequate income strengthen families and build communities. By protecting the employment status of wage earners, we provide families the means to pull through adverse times, avoid the downward spiral caused by job loss, and be fully contributing members of society. For complete information and application instructions please click here. Applications accepted and reviewed on a rolling basis. Don’t delay! ** SPECIAL APPLICATION INSTRUCTIONS FOR UW LAW STUDENTS** In addition to following the application instructions listed on the website, be sure to ALSO copy the email to Marsha Chien at mchien@las-elc.org. The Senior Deputy Ombudsman investigates and seeks resolution of jurisdictional citizen complaints about King County government operations and alleged ethics code violations, and employee reports of improper governmental action or retaliation. The duties of the Senior Deputy Ombudsman for Rural and Unincorporated Area Affairs will emphasize land use-related issues and complaints. The Rural Ombudsman is generally sole or lead investigator on complaints by property owners involving the departments of Permitting and Environmental Review, Natural Resources and Parks, Transportation-Roads Division, and Environmental Health. The position reports directly to the Ombudsman-Director. Minimum Qualifications: The position requires graduation from an accredited four-year institution of higher learning with coursework in public administration, political science, law, business, communications, or other fields relevant to this position plus four years of progressively responsible research and investigative work, issue analysis, land use, public policy formulation, or code compliance, preferably in the government sector; OR any equivalent combination of relevant education, experience and training. Formal training and certifications in conducting investigations, interviewing techniques, dispute resolution, and public presentations are desirable. Applications accepted on a rolling basis through Monday, October 28. For complete description and application instructions please click here. Interns gain a unique and exciting view of the work and mission of the Division. Interns will assist Division attorneys and/or specialists in a variety of assignments, including conducting legal and factual research, preparing documents and exhibits, interviewing witnesses, summarizing depositions, analyzing records, and other case-related work. Interns in the Policy and Strategy Section, as well as interns in some other sections, will assist the Division with a full range of civil rights policy work, including legislative proposals, policy development, and engaging civil rights stakeholders. From the Office of Attorney General, Disability Rights, Employment Litigation, Policy and Strategy, to Voting Rights (to name a few), there’s virtually something for every social justice, public service and law enforcement interest. While each division has it’s own application process, do apply early. Applications tend be accepted and reviewed on a rolling basis. For more info. application instructions and the complete list of specialized offices, please click here. 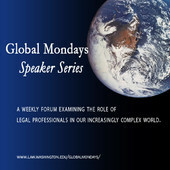 It’s the first Global Monday Speaker Series of the academic year! Professor Schoenbaum will focus on the two International Maritime Organization treaties that establish liability for oil pollution damages and create an international fund to pay claims. 107 countries—but not the United States—are parties to these treaties. He will discuss three recent ship disasters that have focused attention on the deficiencies of these treaties: the wreck of the ship Erika off the coast of France; the wreck of the ship Prestige off the coast of Spain; and the grounding of the ship Rena off the coast of New Zealand. Dr. Thomas J.Schoenbaum is a Research Professor of Law at George Washington University Law School and a Visiting Professor at UW Law for the Fall 2013 quarter, teaching International Environmental Law. He is a graduate of the University of Michigan Law School (JD) as well as Gonville and Caius College of the University of Cambridge (PhD). Professor Schoenbaum has practiced law extensively, including serving as maritime counsel to the State of Alaska after the Exxon Valdez grounding and oil spill in 1989 and representing several Japanese clients in connection with the BP Deepwater Horizon litigation in the Eastern Distrct of Louisiana. He has served as Professor of Law at the University of North Carolina at Chapel Hill; Associate Dean of the Tulane University Law School, the holder of the Dean Rusk Chair of International Law at the University of Georgia; and Professor of Graduate Studies at International Christian University in Tokyo, Japan. Dr. Schoenbaum is the author of many articles and books, including The World Trade Organization: Law, Policy and Practice (2003), Admiralty and Maritime Law (3d ed. 2001), and Environmental Policy Law (2002). He is currently working on new books in the areas of international environmental law and international business transactions. Featuring a panel of fabulous law students who will discuss what kind of public service work they did in government, civil legal aid and human rights at home and abroad. How did they find their jobs? How did they fund their summers? If you would like lunch please RSVP via Symplicity or gatespsl@uw.edu. RSVP by 12:00 pm Monday, September 30, 2013. Navi Pillay, UN High Commissioner for Human Rights will discuss the role of the international treaty system in the protection and promotion of human rights, its interaction with other mechanisms, and its relevance as a preventive early warning system. She will also address the impact of the work of treaty bodies on the ground, where it matters most. Are you interested in public service or a career with the Federal Government? One of the best ways to get fast-tracked into the system is the Presidential Management Fellows (PMF) program. Applications are only open once a year for a short window, but those who are selected for the PMF program receive a high level 2-year appointment with salary and benefits, the prestige of being selected for an elite federal program, and the opportunity to work at the agency of your dreams. If you want to learn more about the PMF program, the Jackson School of International Studies will be hosting an open info session on October 3rd. RSVPs are not required to attend. Date & Time: Thursday, October 3rd 2013, 4:30pm. Eligibility: Any graduate student (Masters or above) who will be completing their degree between 9/1/13 and 8/31/14. Alternatively, any recent graduate who obtained their advanced degree no more than 2 years before 10/1/13 is also eligible for the 2014 PMF program. This year’s PMF program application is slated to be open though USAjobs.gov only between 10/1/13 and 10/15/13 – the more you do now, the better your chances of being selected as a finalist! Alternatively, this info session is perfect for those who want to start building their application for next year. Join the University of Washington School of Law and the Education Law & Policy Society for a day of lively discussions, debate, and learning about school reform in Washington State. 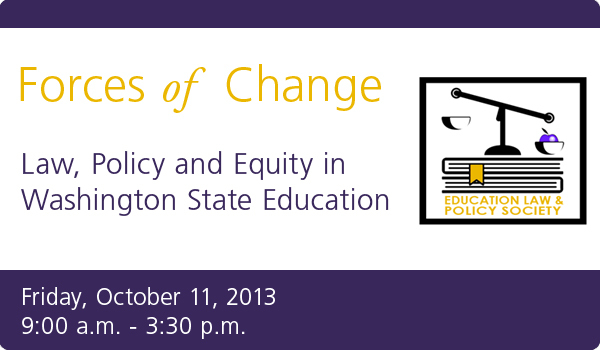 Come learn how law and policy shape equity for Washington’s students. Engage with policy makers, educators, public education lawyers, and scholars through panel discussions, lightning talks, two inspirational keynote addresses and Q&A sessions. Click here for more information, including registration and the schedule. Be a part of the solution! Clock hours and CLEs pending. Questions? Contact Taylor David Richman or Liz Allen. The Office of General Counsel (OGC) is the chief legal advisor to the U.S. Environmental Protection Agency (EPA), the federal agency with primary responsibility for implementing the nation’s environmental laws. OGC attorneys provide counsel to EPA policy makers on legal issues associated with implementing these environmental laws as well as the laws governing the day-to-day operations of a federal agency. OGC Summer Honors Law Clerk Program: OGC operates a highly competitive, 12-week Summer Honors Program for law clerks who have completed their second year (or the equivalent for part-time students). OGC seeks law clerks with strong academic credentials who have a demonstrated interest in environmental, administrative, government operations, civil rights, or public interest law. The effectiveness of EPA’s legal responsibilities depends upon the recruitment and hiring of excellent and diverse legal talent. We recognize the need for attorneys and legal interns of varied backgrounds and skills and offer an inclusive environment that relies on those diverse perspectives to ensure that we effectively serve the American people. Students who participate in our programs will experience a new era of outreach and protection for communities historically underrepresented in EPA decision-making. The Agency is building strong working relationships with tribes, communities of color, economically distressed cities and towns, young people and others, but this is just a start. Therefore, we want to make sure we are recruiting the best, the brightest and most diverse EPA ever and ensure EPA is a place for people who are talented, smart, and passionate about protecting the environment. Law clerks must be U.S. citizens. OGC is committed to providing law clerks with a tremendous legal learning experience. Law clerks can expect to gain experience researching and writing about administrative, environmental, and general law issues. Law clerks also are assigned individual mentors and have opportunities to participate in client meetings, attend field trips, and improve professional skills. Applications due August 30. For complete info and application instruction please click here. 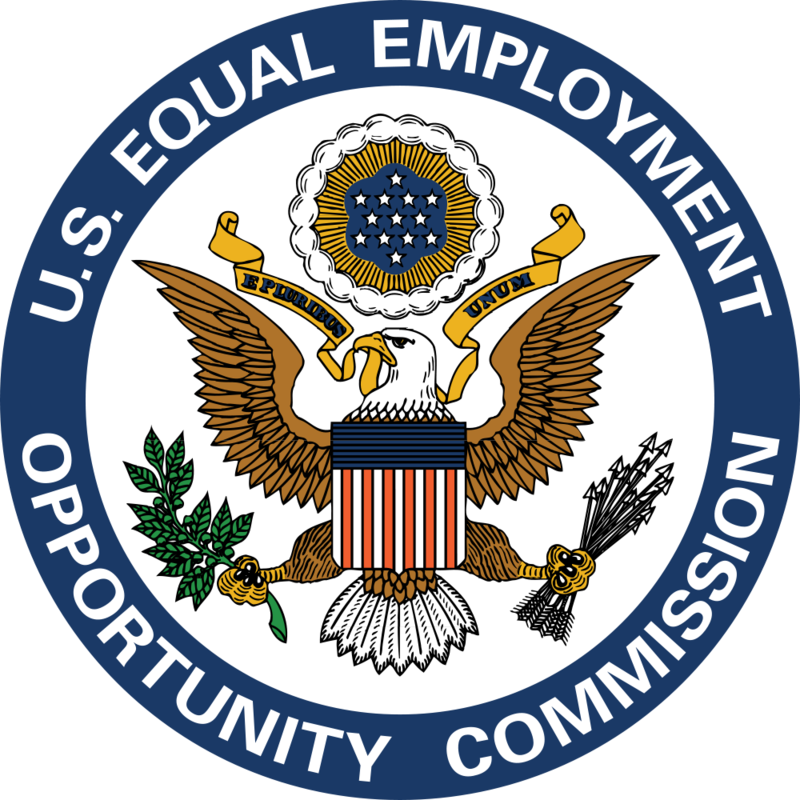 The Equality Center – Disability Rights Division of the ACLU’s National Office in New York City and San Francisco seeks applicants for Spring 2014 Legal Internships. The internships will be located in the San Francisco Office. The Spring legal internships require a 10 to 16 week commitment. The internships may be full-time or part-time, with weekly hours that are negotiable. Arrangements can be made with the students’ schools for work/study or course credit. Conduct legal research, analysis, and writing. Conduct internet and other factual research and collaborate with staff in preparing background memoranda on selected policy issues. Collect and analyze statistical and social science data for use in litigation and policy presentations. Conduct outreach to disability organizations. Develop and maintain website content and other public information materials. Perform special projects and other duties as assigned. For complete info and application instructions please click here. Don’t delay! Applications accepted on a rolling basis. Founded in 1971, Public Citizen is a nonprofit consumer advocacy organization that advocates for good government, a strong regulatory system, a clean and sustainable environment, affordable and safe health care, citizen access to the courts, corporate accountability in the trade arena and more. Public Citizen Litigation Group, a public interest law firm in Washington, DC, is seeking two to three summer law clerks for the summer of 2014. The Litigation Group is a division of Public Citizen, a research, lobbying, and public advocacy organization founded in 1971. Our areas of practice include federal health and safety regulation, consumer litigation, open government, and the First Amendment, including Internet free speech issues. We litigate cases at all levels of the federal and state judiciaries and have a substantial practice before federal regulatory agencies. Our lawyers have argued 62 cases in the U.S. Supreme Court, with another one coming up this fall. Summer law clerks do research and write legal memoranda for use in current Litigation Group cases, under the upervision of the Group’s staff lawyers. When possible, we provide summer clerks with an opportunity to draft actual litigation documents (such as briefs or complaints). Law clerks are also encouraged to participate in moot courts, observe court and congressional hearings, and attend meetings with clients. For complete info and application instructions please click here. Don’t delay! Applications accepted on a rolling basis. The SEC’s Summer Student Honors Program is a ten-week opportunity for law students to become acquainted with the regulation of the securities market. Participants work with SEC staff members on projects that are exemplary of the Commission’s mission, such as conducting investigations of industry and issuer practices, assisting in the litigation of enforcement actions, and drafting proposed statutes and rules. For more information on our program, please visit our Student Honors Program Homepage. The application period is from Monday, August 19th, 2013 through Friday, September 6th, 2013 (midnight Eastern Standard Time). Applications are reviewed on a rolling basis. 1) Résumé with current contact information 2) One page cover letter; indicating three preferred offices and divisions. 3) Law school transcript 4) List of current courses; 5) and a 5 to 10 page legal writing sample. To receive consideration the PDF must be labeled-LASTNAME, FIRSTNAME (ex: OBAMA, MICHELLE). If you have any questions please email students@sec.gov. Society of Counsel Representing Accused Persons (SCRAP) is a private, non-profit public defense law firm with offices in Seattle and Kent, Washington. Bob Nickels founded Society of Counsel in 1976 to provide representation to indigent minors accused of misdemeanor and felony offenses, and to parents and minors in abuse and neglect dependency cases. Since then Society of Counsel has grown to a staff of over 90 people dedicated to providing quality legal representation to indigent residents of King County. Our staff consists of attorneys, investigators, paralegals, social workers, and clerical and administrative employees. Today Society of Counsel provides representation to over 13,000 clients per year. The agency is divided into the following practice areas: adult felonies; adult misdemeanors; dependencies; family law contempt of court; juvenile offender; and sexually violent predator. Our largest unit is adult felonies, which employs approximately 35% of our staff, followed by dependencies, juvenile offender, adult misdemeanor and contempt of court. Society of Counsel views its mission as more than just providing quality legal representation to our clients. We believe part of our role is to try to address our clients broader challenges and help them avoid future entanglements with the system. To learn more about internships at SCRAP please click here.